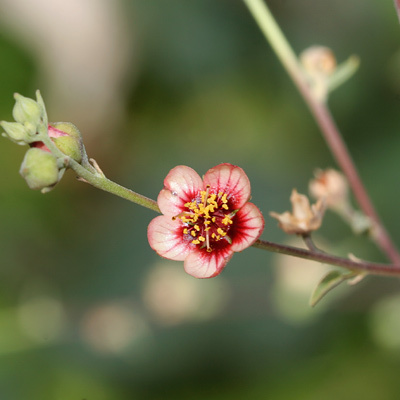 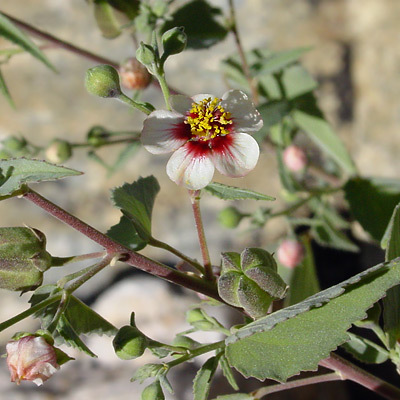 Description: The 3/4 inch (1.9 cm) wide flowers have a central column of stamens and 5, red-veined petals, each with a dark red basal spot. 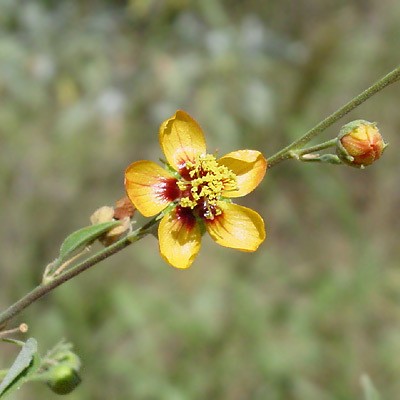 The flowers are followed by fuzzy green, drying to brown seed capsules with 5 mericarps. 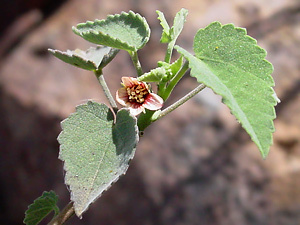 The leaves are elongated heart-shaped with toothed margins and a petiole half of the length of the leaf blade. 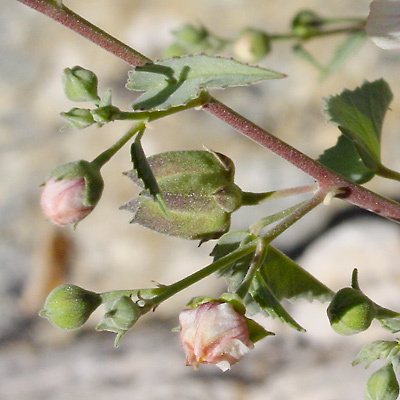 The leaves and stems are densely covered in short, silvery velvet hair.